Fashionos.com is the internets Discount Bridal Online Store. We carry Plus Size Wedding Gowns, Discount Plus Size Wedding Dresses, Plus Size Evening Dresses, Mother of the Bride Gowns, Plus Size Bridesmaids Dresses and even Plus Size Prom Dresses. Fashionos.com also carries full figure bras and crinolines along with many bridal accessories. If you are looking for a Plus Size Wedding Dress we have many styles to choose from. We offer sizes 0-32 in most styles and best of all our Plus Size Wedding Dresses are returnable and exchangeable. 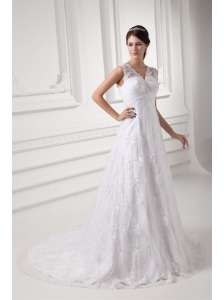 We can also have custom sized size wedding gowns available if you need larger than a 32. There is always a problem for our plump, chubby and stout women when there is a time to rush towards some party or to grab a dress for their very own occasions as their wedding ceremonies. Furthermore a wave of deprivation is always seen in such women because they consider themselves as the ones who can never look sensuous, intense and opulent. And this is because they see themselves from the eyes of the materialistic globe which we are certainly lacking in our vision. If any such thing is roving in your mind then snap out of it and be ours, because we adore the beauty and purity of your looks and body. So desire as much as you can and we will make you feel like the sizzling fairy in the cheap plus size wedding dresses. 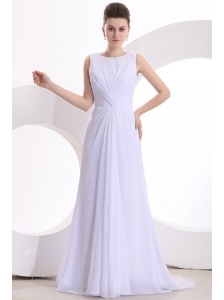 And if your adventures and clarity need to remain simple, then we have a complete range of informal plus size wedding dresses with different styles of plus size sleeveless, one shoulder and with sleeves wedding dresses, and with plus size wedding dresses with sleeves which will be blending the beauty, chunkiness and purity altogether in beautiful attires. Moreover our range is all made in such fabrics in which you can fit in easily at any phase and stage of weight. Fashionos.com is your plus size wedding dress superstore! Now carrying a full line of Fashionos lingerie. Including Plus Size Corsets, Plus Size Baby Dolls, Plus Size Bras and more!